We live in a very beautiful place. Autumn and winter are the best as the days are clear and sunny. We occasionally even get snow, but it’s always sunny again after a day or two. We are surrounded by forest, grasslands, birds and wildlife as well as our horses who wander around grazing. We spend most of our time out of doors. 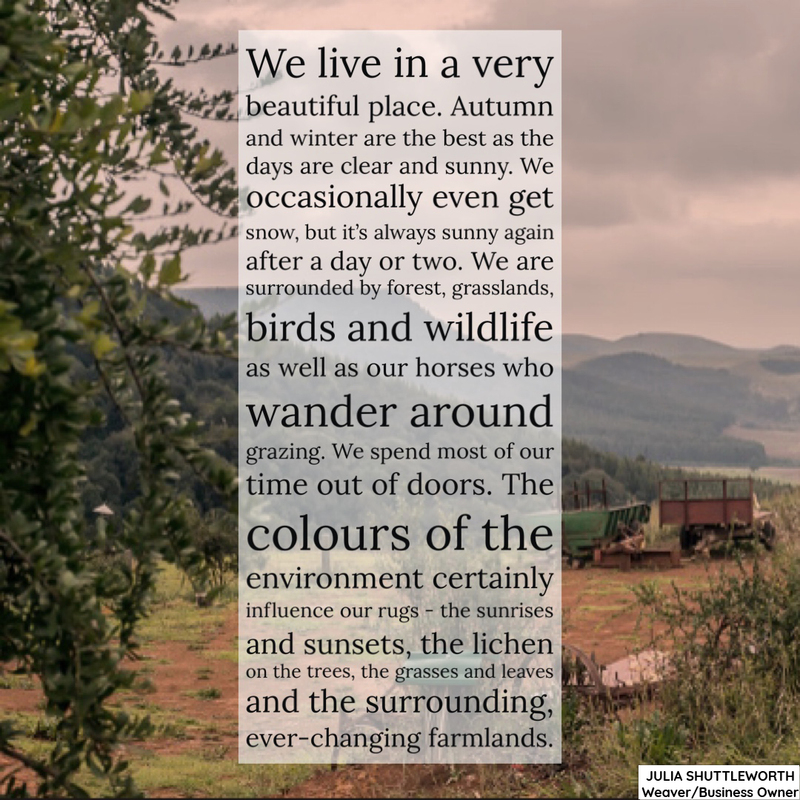 The colours of the environment certainly influence our rugs – the sunrises and sunsets, the lichen on the trees, the grasses and leaves and the surrounding, ever-changing farmlands.